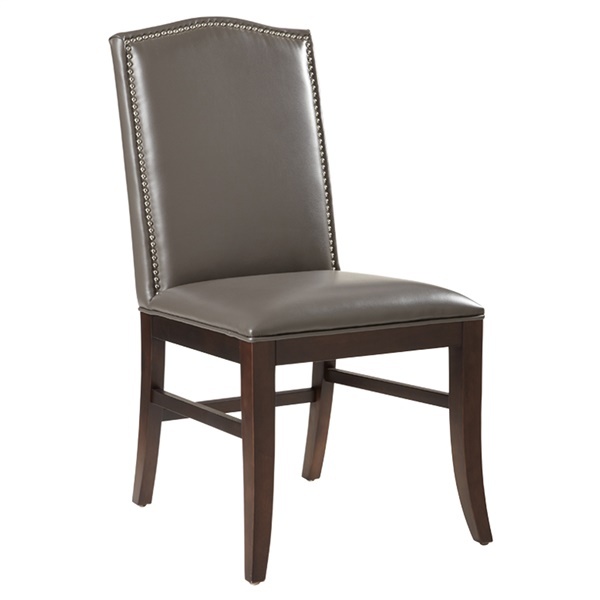 Featuring fresh-meets-fancy classic French style, Sunpan’s Maison Dining Chair serves up low-key luxury at the table. Arriving to you in a set of two, the Maison Dining Chair by Sunpan is crafted of quality wood in a warm espresso finish, and available in your choice of lush bonded-leather upholstery hues, each expertly accented by the subtle shine of nail head details. If you’re hungry for a helping of understated elegance in your eating area, then Sunpan’s Maison Dining Chair may just be the best thing on the menu. French country-inspired design gives the chair a classic look and feel. Espresso finished legs are both stylish and practical. Bonded leather upholstery delivers outstanding comfort. Side stretchers provide added strength. Wood frame offers unparalleled support.